I’m hosting my first Guest Post Gear Review! This review was sent in from Tim B. of the Outdoor Adventure Team. Tim and his friends explored the Ozette Triangle on the Olympic Coast in the Pacific Northwest, US. I’d like to thank Paul and Tim of The Outdoor Adventure Team for letting me host this review of Adventure Medical Kit’s SOL (Survive Outdoors Longer) Escape Bivvy. The Escape Bivvy was donated for review by AMK. Click here to read more from The Outdoor Adventure Blog. This past weekend a group of buddies and I went on a 9.4 mile overnight backpacking trip to the Ozette Triangle on the Pacific Northwest Olympic Coast. Early Spring is a beautiful time of year to explore the trails that are packed with hikers only a few short months later. When embarking on such adventures it is prudent to carefully asses one’s gear in order to avoid being too cold. Being freezing cold while out on an adventure can not only make one grumpy, but one could get frostbite or hypothermia and ultimately lose an appendage or two. It ain’t pretty. I’ve been that grumpy guy, and no one wanted to hang out with me, and certainly no one wanted to spoon me to keep me warm. But, not this time. This time I packed the SOL Escape Bivvy. The SOL Escape Bivvy is a light and compact sleeping bag-like sack, weighing 8.5 oz and measuring 36″ by 84″ rolled out flat. The proprietary fabric is designed to release moisture created by your body, while external moisture from the elements remains on the outside. The inner lining is created from a reflective type material which helps to retain body heat. Waterproof seams plus a drawstring hood closure and side zip mean you can seal out the elements entirely or use the bivvy like a traditional sleeping bag. In a survival situation the high-visibility orange exterior makes it easy for rescuers to spot you even in areas with high tree cover. Being an early Spring backpacking trip, I was concerned at first that I would become too cold at night. I’m a Texan boy, who grew up with the belief that 50F was freezing temperatures. While I have toughened up in my last 7 years in the Pacific Northwest, I still usually get cold at night while camping. I have found that I need to wear multiple warm layers in order to achieve any sort of comfort level for sleeping. Because the SOL Escape Bivvy doesn’t take up nearly any room in my pack I still packed my usual brigade of warm clothing just in case I needed them. I doubted something with material that thin could keep me warm at night. I decided to test out the SOL Escape Bivvy in my usual backpacking setting inside my tent. I wore only one thermal underwear layer, socks, and a beanie and decided if I was cold I could add another layer, and then another if it became necessary. I slid The North Face Cat’s Meow sleeping bag into the SOL Escape Bivvy and slithered inside, zipping up my sleeping bag and the SOL Escape Bivvy once I was all snuggled inside. While the length was great for fitting my 6’5” body, it was a little awkward zipping up as the SOL Escape Bivvy zipper is on my right, while my sleeping bag zipper is on my left. I did not draw the SOL Escape Bivvy pull cord to tighten the hood around my head, as it was too frustrating to manage from inside my sleeping bag. As I lay there I could immediately notice a significant decrease of wind chill that was prevalent in the tent from the large gusts of wind blowing in from the ocean. I then quickly fell asleep. I woke up the next morning, having slept well all night warm and cozy in my sleeping bag and the SOL Escape Bivvy. I was then surprised to find out that the others in my group had not slept well at all. My tent buddy is a natural warm sleeper; in fact, there was one trip where he was sleeping on top of his sleeping bag in his boxers, while I shivered and shook in my sleeping bag with every layer of clothing imaginable. There were others with the exact same sleeping bag as me, who also felt a certain chill throughout the night. I had no condensation build up inside the SOL Escape Bivvy, and there were visible beads of moisture on the external layer from the condensation build up inside the tent. I could see this proving to be a beneficial outer layer for those with down sleeping bags for this reason, especially here in the Pacific Northwest. Instead of packing a silk or fleece liner or excessive layers of clothing, packing the SOL Escape Bivvy would also be a wise multi-use alternative for retaining heat. It is certainly less bulky than my usual brigade of extra items. 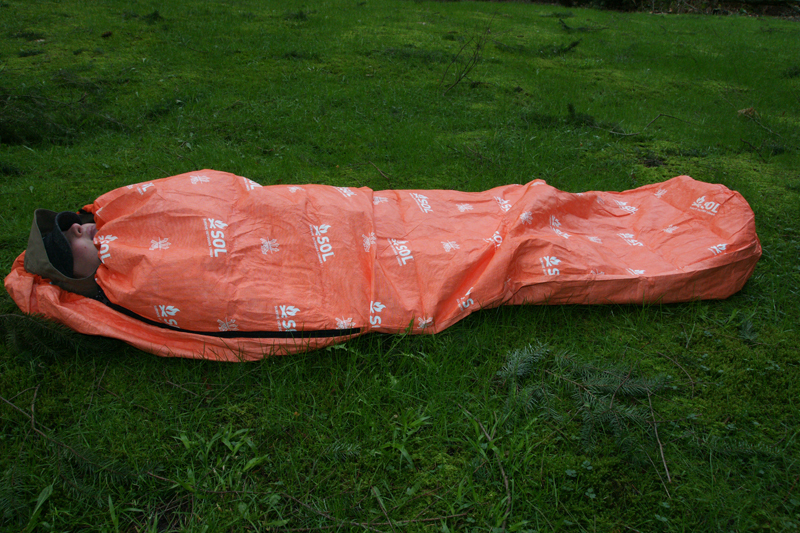 When it came time to pack up, I was able to quickly fold and roll up the SOL Escape Bivvy from a standing position and easily slid it back into the little sack. When I came home, I hung it up to dry and found it to be ready to pack away in less than half an hour while my tent and other waterproof items were still drying an hour later. 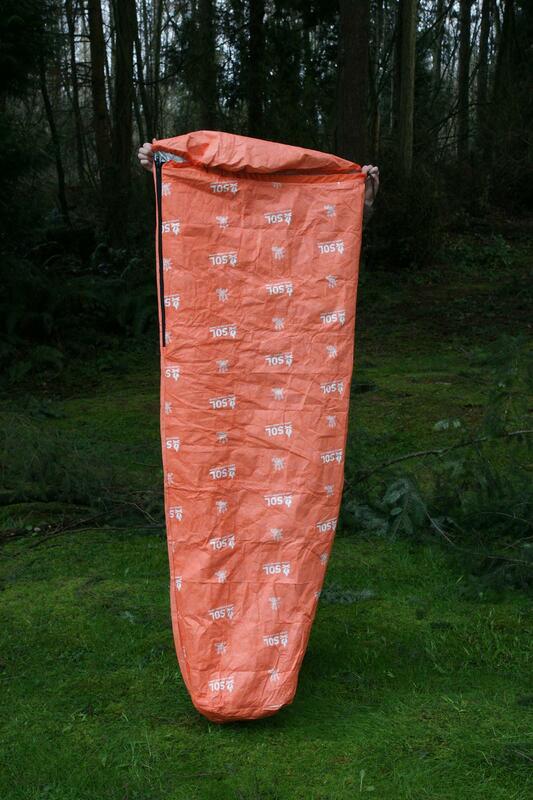 The SOL Escape Bivvy is designed as an essential piece of equipment in your survival pack, and I definitely can see where it would prove great benefit in an outdoor survival situation. The Outdoor Adventure team member, Paul Osborn, will be putting the SOL Escape Bivvy to the test in a similar scenario in a few months, and I certainly look forward to hearing his review. 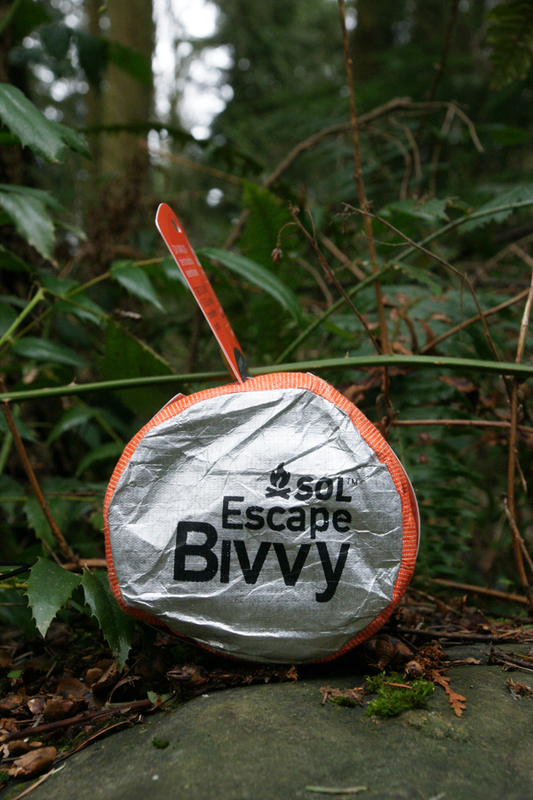 Have you used the SOL Escape Bivvy before? We are interested to hear your experience with the SOL Escape Bivvy, and maybe you have a few tips for Paul before he heads out on his survival trip with this piece of gear. We look forward to hearing from you so please comment, tweet, and share on Facebook!